When you think of Oakley, you think shades. 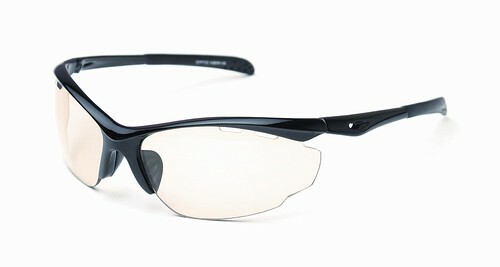 But, this year, Oakley expands its reach into the cycling industry with its new Oakley ARO Series. This is DAY TWO of TBR’s 5 Days to 5/5 Anniversary Contest 2010. For more info, click HERE. NOTE: Day Two should’ve been yesterday, May 2, but my gastroenteritis was acting up again. There will be two 5 to 5/5 Contest posts today. The FIFTH person to post a comment below wins the prize. The early bird catches the worm…or the cool shades! Only one entry per person. Submission of more than one entry will result in disqualification. Comments will be moderated and NOT be published until May 4, 2010, 7:00 a.m. Winners will be published on this blog and will be advised how to claim their prizes. Running is one of the most affordable sports there is. No need for special gear or equipment such as a swimsuit and goggles, bike and helmet, skis, ball, racket, etc. One can indulge in the sport with the clothes on his back and the shoes on his feet—or, in rare cases, no shoes at all. Conversely, running can be an expensive sport, especially for insane people who obsess over the latest gear. I am living proof of that statement. Since I started running, I have “invested” (the aforementioned word works wonders for the shopping conscience) in a watch, running shoes, singlets and shorts, ipod, caps, running socks, water bottle carrier, coaching and therapy fees, and more. I thought I needed nothing more…until a couple of days ago. I met affable and down-to-earth Titus Cruz, distributor of Optic Nerve shades in the country, who basically reminded me through his presence that I could use a pair of shades to keep my already singkit eyes from shrinking even more when the sun hits me. Titus came into our meeting carrying bags of sunglasses in various shapes, colors, and sizes. 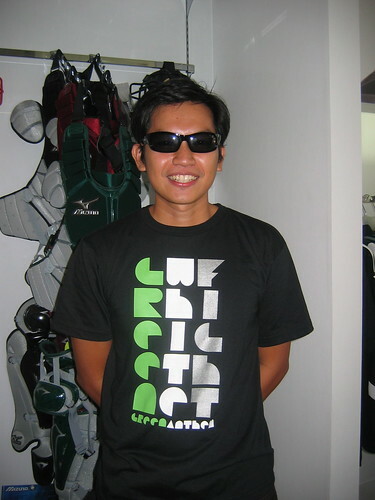 Optic Nerve shades, he explained, are sports shades that won’t cost you an arm and a leg. (Perfect for me because, at my injured state, I really can’t afford to lose another leg!) And, based on what I saw, the shades have attractive designs and are high-quality products. I sifted through dozens of models and declared, after a long 30 minutes, that it was a toss up between “Threat” and “Revolt.” I ended up choosing both. Driving home from The Fort, I wore “Threat” in the car—complete with stickers and tags on—and declared that I liked it. Mind you, my two kids agreed that I looked like a cool mama too. I have yet to test them training outdoors but you can expect to read TBR’s Optic Nerve review pretty soon. For more information, you may contact Titus Cruz at 0917.812.0308 or email tyts77@yahoo.com. 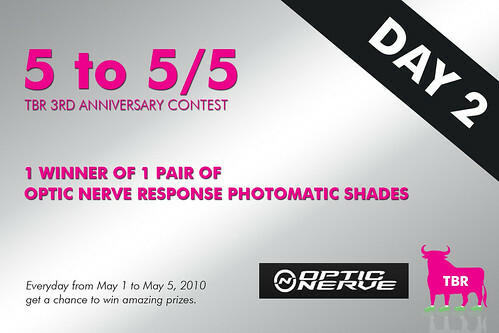 Check out Optic Nerve sports shades at their site.